(SPOT.ph) President-elect Rodrigo Duterte is still at odds with the media, so he's been noticeably absent on our newsfeeds lately. 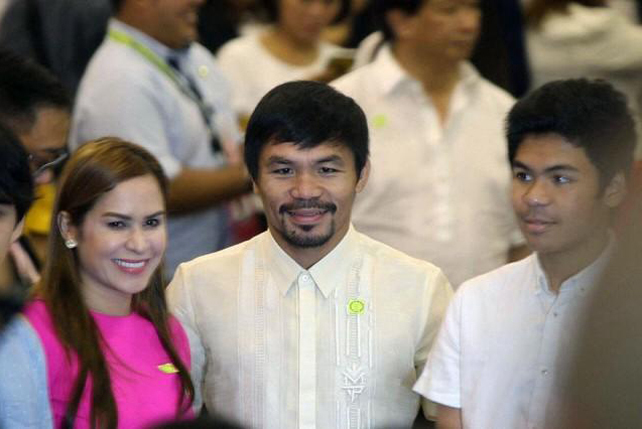 His team, meanwhile, continues to show support for the incoming president amid all the recent controversies. In other news, supermodel Karlie Kloss posted a series of negative comments directed at a certain local airline. It turns out she was late for her flight, but the point that seems to have been lost is a lot of our local companies need to rethink their customer services policies. Here are the week's highlights, in quotes! "Marami na namang criticism, so no interview, no criticism, no wrong statement, no nothing. Shut up. Ayoko na talaga." 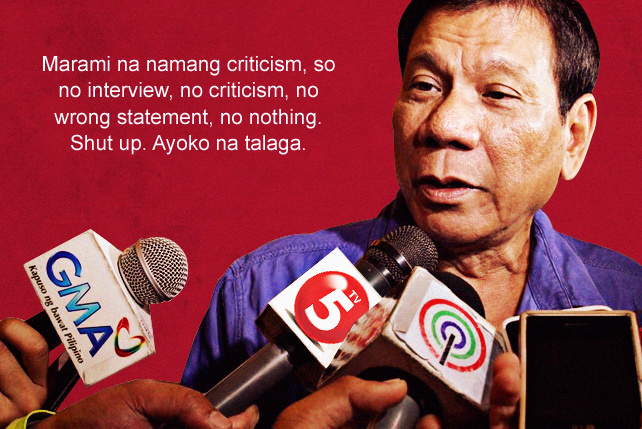 — President-elect Rodrigo Duterte on being misquoted and taken out of context by the media. Shut up na lang lahat. 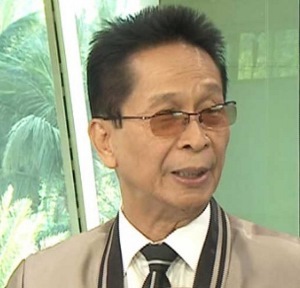 "Siya ang pinaka-klarong presidenteng narinig ko na eh." — Presidential spokesperson Salvador Panelo, on the president-elect's press conferences. "It is a tremendous challenge for all who believe that education is not just an international goal but a valuable part of our culture." — Incoming Department of Education Sec. 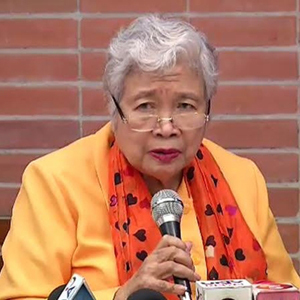 Leonor Briones on the value of education. "Mine is the silence of respect for those who consider us their enemies but whose good we truly pray for and whose happiness we want to see unfold." 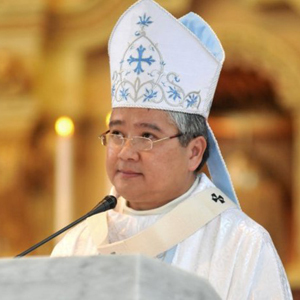 — Lingayen-Dagupan Archbishop Socrates on silence. Guess we'll never know who he's talking about. “Old politicians never die, they just fade away. 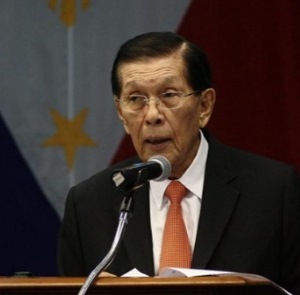 My head was bloodied but never bowed.” — Juan Ponce Enrile on retirement. "I feel I've lost about 50 [pounds] now but am still not satisfied." 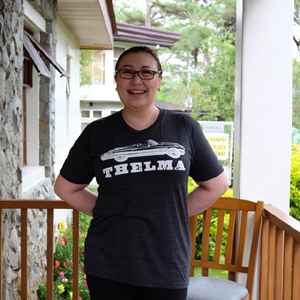 — Sharon Cuneta on her weight loss. 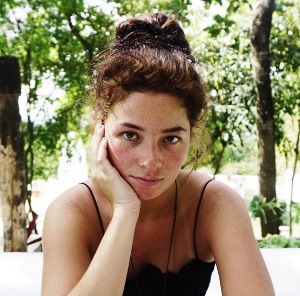 “Feeling ko ito talaga 'yong gusto kong talagang path na i-take...Parang ito talaga ang dahilan bakit ako pumasok sa showbiz.” — Andi Eigenmann on making more indie films. Looking forward to more Andie indie films. “Why get married just because everyone else is getting married? It has to be something that you feel is right for you.” – Maxene Magalona on settling down. “Thank you for being my Miss USA and for always being confidently beautiful and confidently YOU.” — Miss Universe Pia Wurtzbach to Miss USA Olivia Jordan. “Philippine Airlines has the worst customer service of all time. Most budget airline. Rude and disrespectful. Shame on you.” — Karlie Kloss on her missed flight. Customer service isn't a strong suit for most local companies, we noticed.